You know I'd find a burger place with cocktails! Sometimes my knack for figuring out a good spot for cocktails is scary. 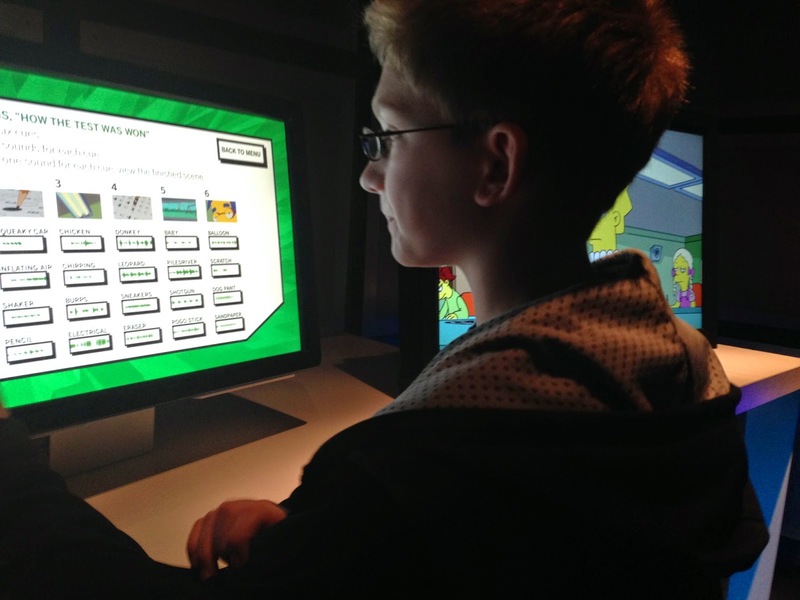 On our vacation in New York last month we decided to escape the crowds wearing their Easter Sunday best and head for Queens to check out the New York Hall of Science and the Museum of the Moving Image. Finding lunch between Flushing and Astoria was a bit of a challenge, with them being unfamiliar neighborhoods on a holiday afternoon. The restaurant I originally picked wasn't open (wait, the internet isn't always right?) and I had three sad boys with grumbling tummies bordering on a meltdown. No pressure. 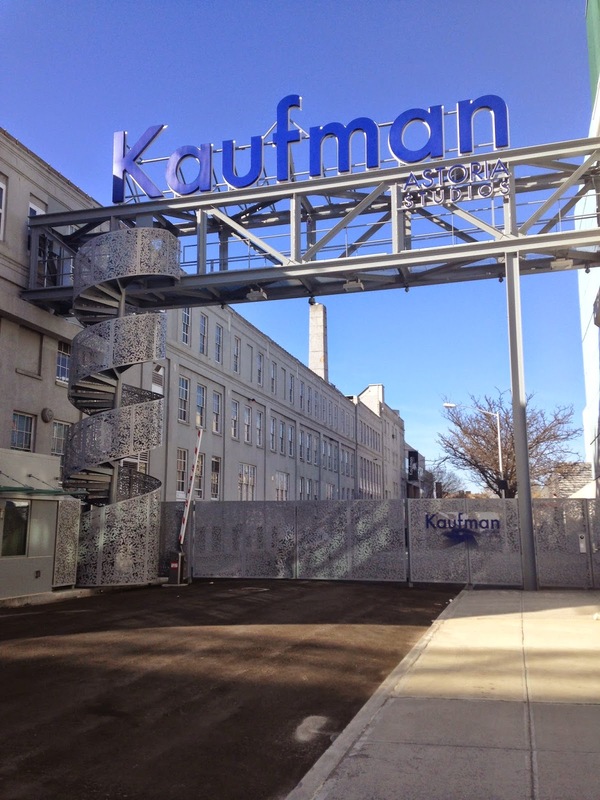 But with some quick tapping on my iPhone I found an organic, all natural, eco-friendly burger chain within walking distance to the Museum of the Moving Image in Astoria. Total jackpot. 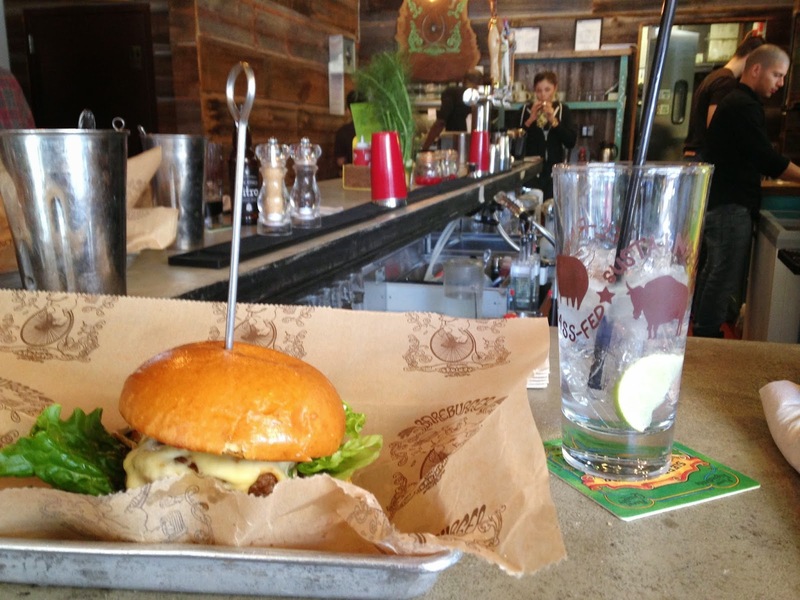 Bareburger has 17 locations around the New York Metro area and somehow I'd never heard of it. All of their beef, bison, turkey, chicken, eggs, dairy, fruits and veggies are 100% organic, and the rest of the options are 100% all natural and minimally processed. Even the cocktails are organic and it was nice to see Maine Root sodas represented. If your kiddos aren't burger fans they can order special "cubby" meals with a choice of all natural chicken tenders, grilled cheese, or uncured hot dog served with fruits and veggies. This chain needs to expand up the coast, because an organic burger place with killer cocktails is my idea of perfection. Take that, Shake Shack! 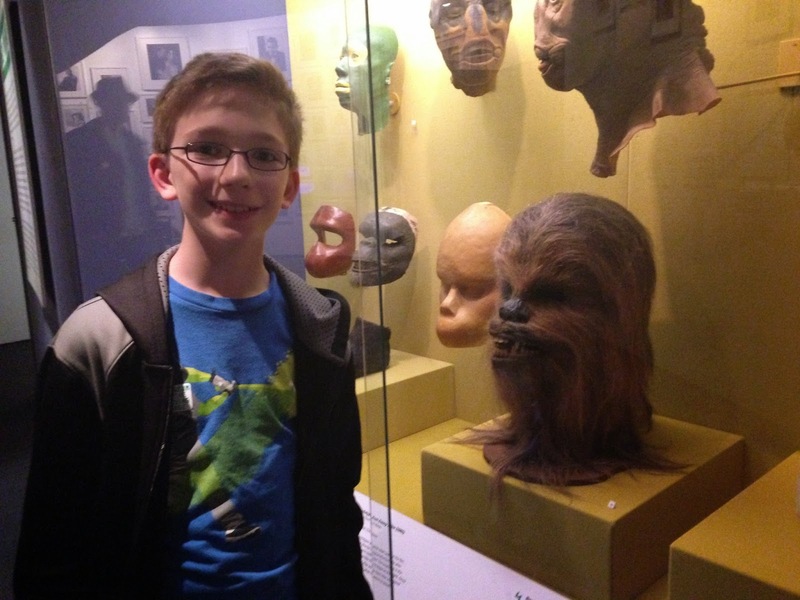 Movie memorabilia makes up the majority of the collection at the Museum of the Moving Image and your kids will love checking out models of Yoda and Chewbacca, and all the toys and movie tie-ins on display. See how makeup and prosthetics can transform Robin Williams into Mrs. Doubtfire or a leg into a gruesome and gory prop. Kid friendly movies are screened on weekends (usually short and extremely vintage) and we grabbed a seat in Tut's Theater to watch a very old Superman episode. The little C&Gs were hysterical laughing over the cutting edge special effects used to make the Superman of 1950 fly across the screen, with crude pen drawings spliced in between the live action. A hands-on media station lets you replace bits of dialog from movies with your own voice. Head into the soundproof room and take your pick of clips to re-record. I tried to outdo Eliza Doolittle with "the rain in Spain" but I couldn't compare to Audrey Hepburn. Another hand-on station strips out sound effects from video clips and lets you insert your own. Turn Arnold Schwarzenegger as the Terminator into a comedian with just a few changes or Lisa Simpson into a test taker on the verge of a panic attack with clocks ticking and hearts pounding. The boys could have spent all afternoon redoing sound effects if we didn't drag them away to the next exhibit, a display of fifteen video feeds of a "live" baseball game edited down to what you see in real time on your tv screen. It's incredible how they make split second decisions on what you'll see at home. The Museum of the Moving Image is definitely worth a visit, and if you don't have a native New Yorker navigating the streets like a lifelong taxi driver (not a compliment, Mr. C&G) check out their website for directions by subway or bus. The Astor Room across the block in the Kaufman Astoria Movie Studios would be my first choice for post museum cocktails (they weren't open on Easter Sunday). You never know who you'll run into at their elegant bar, maybe Big Bird grabbing a little G&T before heading back to The Street.